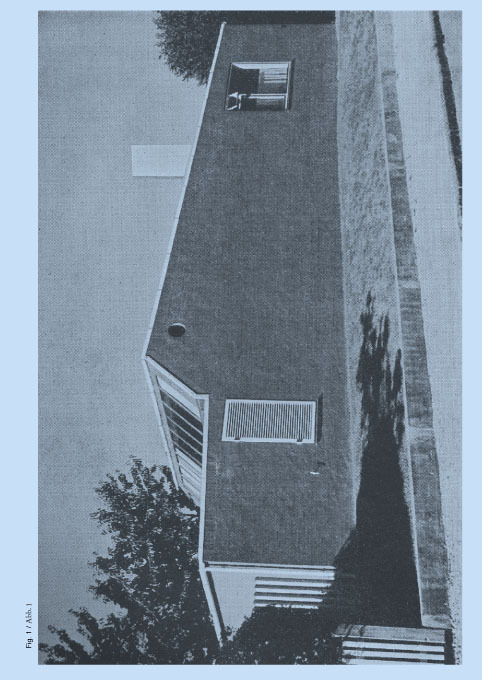 In the essay on Edvard Heiberg’s House at Ådalsvej in the suburbs of Copenhagen, designed in 1939 for the architect and his family, Robert Gassner considers particular and partly related situations of inhabitation. Gassner uses “agency” as an analytical tool while endeavoring to establish a view of the house that both encompasses its life span and relates a possible understanding of the architect’s relationship to the house to that of successive generations of inhabitants. While tracing this processual nature of the house into particular biographical situations, Gassner compares his findings to ways “agency” has been observed, deployed, and theorized in other fields. The Heiberg House, street façade.